Apple’s latest new operating system for its computing lineup, OS X Mavericks 10.9, has just gotten pushed to Gold Master (GM) level, and is now available for developers and AppleSeed users to download and play around with. If you’re a registered developer or user, now is the time to go ahead and grab the GM version for OS X Mavericks as you please. The release of the GM version indicates that the work on OS X Mavericks is basically completed, and the OS might be shipping out to general consumers really soon. This would also mean that if you do have access to AppleSeed, and want to take a first peek at what Mavericks is all about in its close-to-final form. Of course, there are other ways to obtain a GM build, too, but we’ll talk about those later. The release of this Gold Master goes in line with earlier reports that Apple would push the Mavericks operating system to a GM build by either the end of this week, or the beginning of the next. Now, as it turns out, the former held true, and even the speculation around build numbers has been put to rest. The momentum had been continuously building towards the release of the OS itself, which is now expected to happen some time later this month, and there had been reports that Apple had started training its AppleCare support staff for OS X Mavericks, should customers find the need. There might still be a lot more to come on this front, so we would be staying tuned. 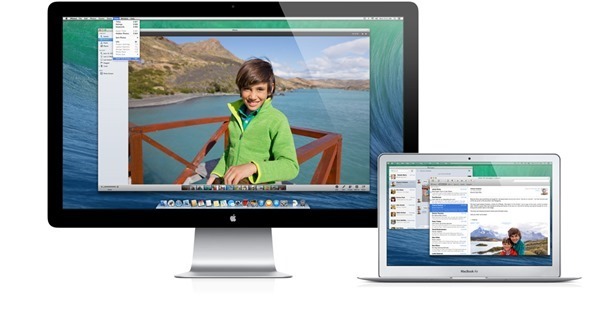 Mavericks is highly iOS inspired, and aims to bridge further the gap between Apple’s mobile and desktop platforms. The ecosystem is already very sound, and with more features getting replicated in both environments, things are bound to improve. We see this as a really positive sign. The GM build for OS X Mavericks is being seeded officially, and can be grabbed a separate new download in the Mac App Store. Of course, such builds are also always distributed through file sharing and peer-to-peer networks as well, but we’d most definitely advise against those, as neither the safety of such a build can be vouched for, nor is it legal. It would be out pretty soon any way, so might as well wait for that.